Kevin M. McKenna has been practicing law for more than 30 years with an emphasis on Charter School Law for the last 20 years. He is the Managing Shareholder of the Exton, Pennsylvania office of Latsha Davis & McKenna P.C. and is Chairman of the firm’s statewide education practice. Kevin represents numerous schools throughout the Commonwealth of Pennsylvania and understands the unique needs of Charter Schools. Kevin has experience in all phases of Charter School development and assists his clients in managing school operations, legal compliance, personnel issues and legislative and legal issues. Kevin regularly counsels school administration and personnel advising them on day-to-day issues while monitoring legislative issues that can potentially impact the schools and their resources. Under his guidance, Charter School clients have had continuing success in cases handled at the administrative level as well as hearings, trial, post-trial and appellate aspects of a wide variety of civil matter in both state and federal courts. He has also provided legal representation to the Pennsylvania Coalition of Public Charter Schools for the last 15 years. 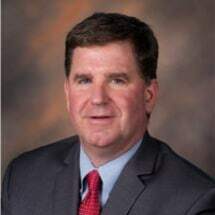 Mr. McKenna regularly speaks at educational forums across the country on topics such as ethics in law and the responsibilities of public school boards and has also served as an adjunct college professor. Wetzel, D., McKenna, K. M. and Perskie J. " Friends in High Places: Is the System of Justice Fair? To Avoid the NCAA's Wrath, Colleges Have Learned a Little Secret"
Brock, S. F., McKenna, K. M. and Traban, R. "Drug Testing College Athletes: NCAA: Does Thy Cup Runneth Over?" West Virginia Law Review, Volume 97, Issue 1, Fall 1994. McKenna, K. M. "Courts Leave Legislatures to Decide the Fate of the NCAA in Providing Due Process" Seton Hall Journal of Sport Law, Volume 2, Number 1, 1992. McKenna, K. M., DiGiuseppe, J. "Policing Sports Agents: The First Four Years"
Brock, S. F., McKenna, K. M. "Drug Testing in Sports" Dickenson Law Review, Volume 92, Number 3, Spring 1988. McKenna, K. M. "A Proposition with a Powerful Punch: The Legality and Constitutionality of NCAA Proposition 48" Duquesne Law Review, Volume 26, Issue 1, Fall 1987. McKenna, K. M. "Age Limitations and the NCAA: Discrimination of Equating Competition?" St. Louis University Law Journal, Volume 31, Number 2, Spring 1987.